Tennis is definitely one of my favorite sports to practice. Since I was little, my family and I used to play every weekend in Mexico and thanks to that I have great admiration and respect for the sport. And I say respect because a tennis match can last up to three or four hours and the workout can be really intense. When I moved to Houston, I was really fortunate to find a group of friends that were also passionate about tennis. Every Monday we play against different teams in a competitive league and we leave our body and soul on the court. Let me tell you that for those days of long and intense workout, the LALA® Yogurt Smoothies are the perfect snack to reenergize my body so I can keep up throughout the day. 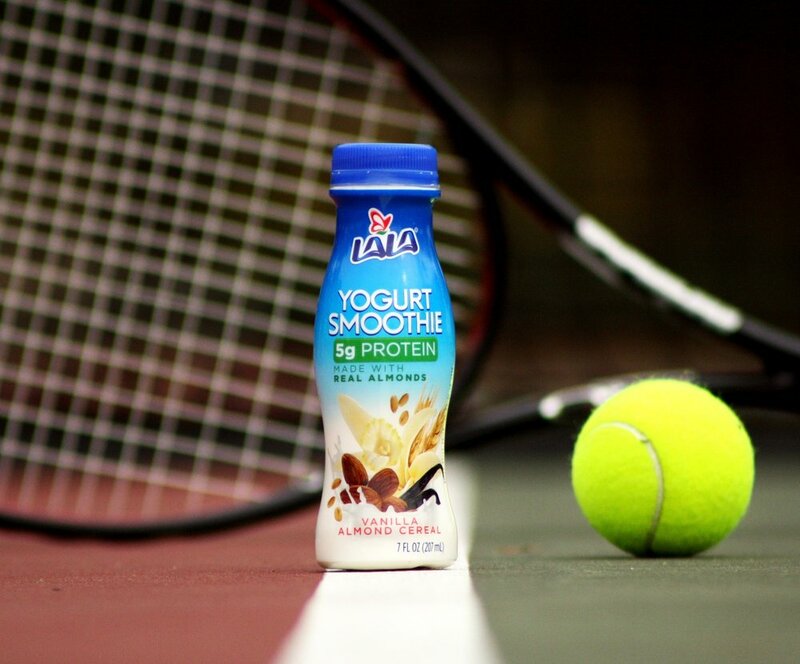 Sometimes I need to go pick up my kids from school straight from the tennis courts and I don’t always have time to eat, but thanks to the 5 grams of protein that LALA® Yogurt Smoothies have, I can ease hunger until I get home. A great tip to keep my smoothie fresh after a tennis match, is to put it in the freezer the night before so when it's time to drink it, it's cold and delicious. So now you know, if you have a busy morning and need an on–the-go snack, try the strawberry or vanilla-almond LALA® Yogurt Smoothies Its 5 grams of protein will help you crave hunger. Click here for more information about these smoothies. You can find these tasty smoothies at H-E-B since they are the official sponsors of the H-E-B Slim Down Show Down where 28 contestants from Texas will try to reach their healthy life goals and could win a $10,000 prize. If you’re not one of the 28 lucky contestants, in this link you can find all the information for the challenge so you can participate from home and have access to the recipes, exercise routines and the personal histories of the contestants.